DOWN TO OUR LAST FEW COPIES! LAST COPY! Beautiful Red Vinyl! BACK IN STOCK! BRAND NEW Kepi CD!!!! YAY! 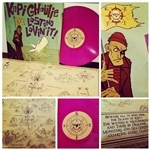 (LP out in February) Newest Kepi LP! 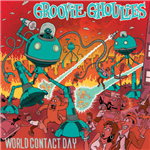 Limited Edition Swampy Green vinyl! Comes with download code and cool insert! 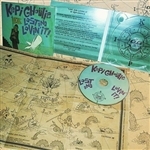 Kepi Ghoulie has teamed up with The Copyrights to re-imagine "Re-Animation Festival" This is the LP/CD bundle. If you want both LP and CD purchase this combo to save $2 on your total! Limited Quantity Available! 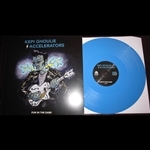 BOTH COLORS BUNDLE PACKAGE The Accelerators with vocals by Kepi and back-ups by Dog Party! On blue vinyl! With download code! The Accelerators with vocals by Kepi and back-ups by Dog Party!